An unusual and romantic cruise from Port de plaisance Paris-Arsenal at the Bastille to bassin de la Villette, passing by Parc de la Villette (or in the other way). General and Specific Conditions: All year round upon reservation. Printed receipt in exchange of the ticket. 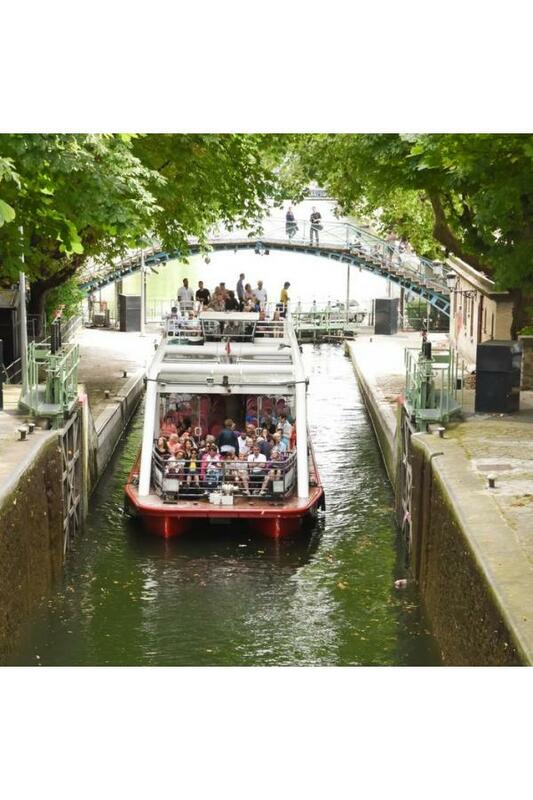 During this cruise learn about the history of the authentic Paris, the inhabitant’s one. 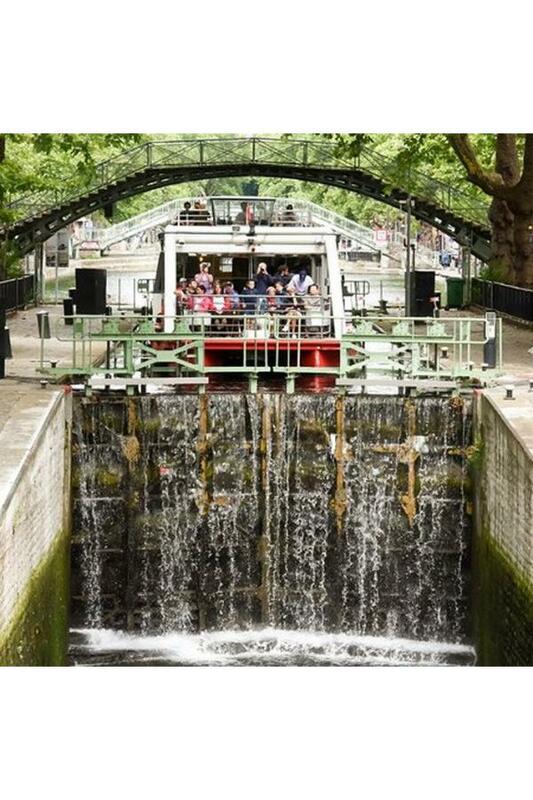 Discover the canal with its 100 year old trees lining the banks and the mysterious « voûte de la Bastille » (ungerground vault), the famous canal footbridges, locks and lift bridges, the La Villette basin, a former trade port now redeveloped, the amazing Crimée lift bridge and the nice green area of Parc de la Villette. A chance to experiment the « atmosphère » of the movie Hôtel du Nord created by Marcel Carné, Arletty and Louis Jouvet. 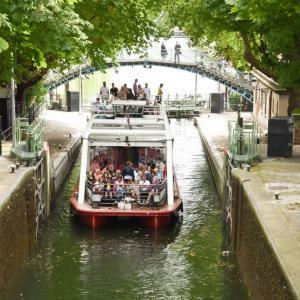 From May to September : Friday and Saturday at 6pm from Bassin de la Villette – Arrives at Port de l'Arsenal or 6pm from Port de l'Arsenal - Arrives Bassin de la Villette. On puchasing your ticket you will receive an email with your pass, valid until 16/12/2018 and to be printed. You must then book with Canauxrama. Free under 4 years old. 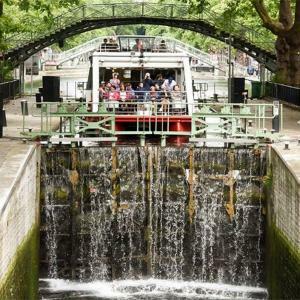 If you enjoy cruises on the canal check the one that goes from Musée d'Orsay to the La Villette park (or the opposite) and if you really like the canal, check our guided walking tour that will make you discover the history of the water banks and it's neigbourhoods. If you're really fond of learning while walking around Paris and it's area, don't miss our walking tours. Otherwise, we also propose loads of activities to do along the water.